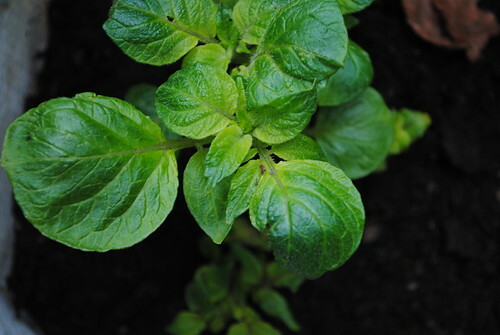 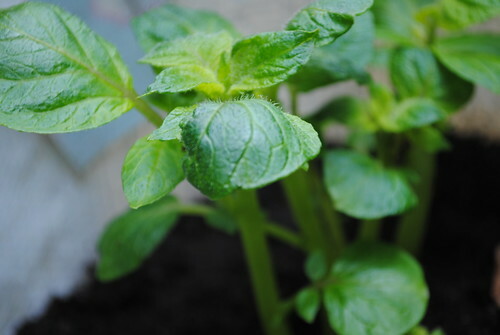 Planted some new potatoes and earthed up the old ones which, from above the soil at least, look like their doing really well. 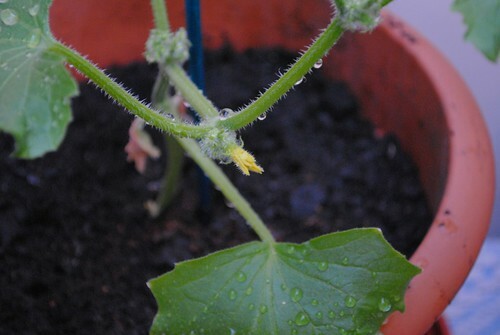 And discovered a little yellow flower on one of my cucumber plants! 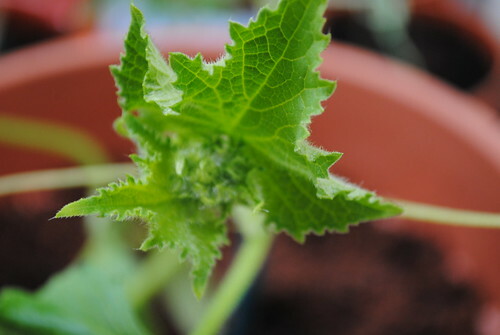 This is very exciting indeed, especially as two of my cucumber plants were moved outside when we literally ran out of room inside and unfortunately have not survived.